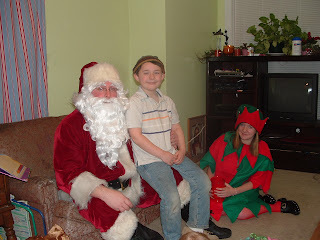 Tom, once again, for the 3rd year in a row, told Santa that he wanted a Power Ranger. The black one, that they sell at Wal-mart, with a white marking on his chest. Oh really Tom. Cause when we went Christmas shopping, that sure wasn't on your list. Oh well.